Stay online anytime, anywhere at lower costs. 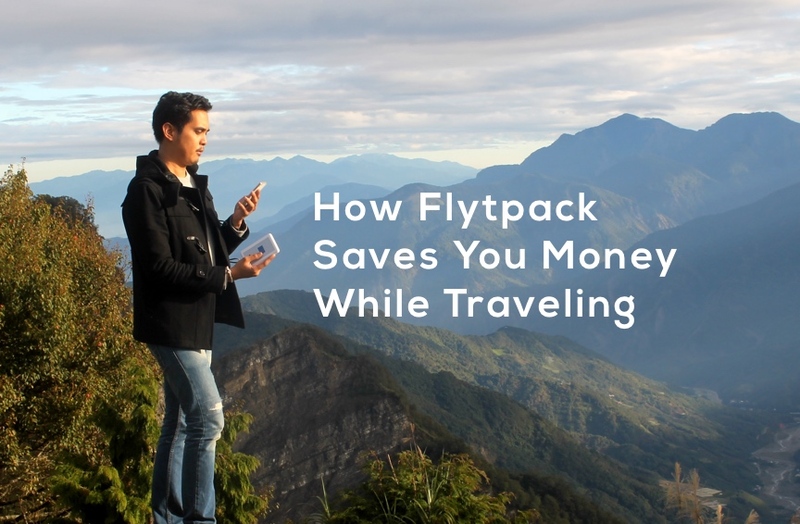 Say goodbye to expensive roaming charges when you use Flytpack. Daily rates range from PHP 180 to 350 for Asian countries, and PHP 550 per day for USA, Canada and Europe. The service also offers cross-country packages at PHP 300 per day for coverage in Asia, and PHP 550 per day for worldwide coverage. That’s a deal when compared to local telcos that offer a flat rate for roaming services on your smartphone at PHP 550 to 599 per day. Plus, you can easily share your internet connection with up to five mobile devices in your travel group! Book deals on your ideal hotel. Reserve your hotel or guesthouse on the go through booking apps like Agoda, Booking.com and Hostelworld, which often has last-minute deals on your preferred accommodation. This saves you time and money, rather than searching for a room to stay only when you get to your destination. You can also easily choose accommodations based on location, so you can find convenient places to stay near tourist attractions or transportation landmarks like an MRT station or bus terminal. Using online navigation with applications like Google Maps encourages you to take public transportation, instead of relying on taking taxis to get around a foreign city. I took advantage of Taipei’s efficient bus and train system to get around the metropolis. Public transportation in developed cities are well integrated, and all you need is to purchase one transport card – such as Singapore’s EZ-Link or Hong Kong’s Octopus Card – that can be used on different systems. When you really need a ride home in an out-of-the-way neighborhood or when it’s late at night, it’s often more affordable (and safer) to book a ride back to your hotel on Uber or Grab, compared to taking a local cab. And, by pinning your precise destination, language barriers become less of a problem when your driver knows exactly where to drop you off beforehand. Discover affordable places to eat and drink. Often times, the best places to eat and drink are the affordable joints where the locals hang out. By staying connected through Flytpack, I’ve used Google Maps and Foursquare to discover budget-friendly but highly-rated and authentic places to eat near my current location. On a recent visit, this is how I found out that one of best plates of chicken rice in Singapore was just the down the road from my hotel! Make free calls through the Internet. Instead of making expensive calls on your smartphone or hotel phone, it’s far easier to phone home through messaging apps like Facebook Messenger, Skype, WhatsApp or Viber. Flytpack’s connections have been so stable and reliable that I’ve even made lengthy video calls while on the move, like the Facebook video call I made to my parents while on the bus to Alishan in Taiwan. It’s a great way to share your travel experiences live with your family and friends.